FlashTips™ are disposable air/water syringe tips that are designed to help prevent cross contamination. They are changed easily and quickly between patients and do not require any converters on most common syringes. FlashTips™ feature a locking indicator and wide locking groove to ensure tip is in place, and separate air and water chambers to minimize crossover. FlashTips™ are available in five colors (blue, purple, pink, orange and green) and are sold in both 250- and 1200-count packages in assorted colors. FlashTips™ were evaluated by 37 consultants in 3504 uses. They received a 92% clinical rating. FlashTips™ are designed to provide effective separation of air and water without contamination. Consultants frequently commented they were pleased with this important feature. The long, narrow tips did not obstruct visibility in the mouth. While not as rigid as metal tips for retraction, most consultants found them to be adequate. The main concern noted was that the end of the tip should be more rounded to prevent soft tissue injury. 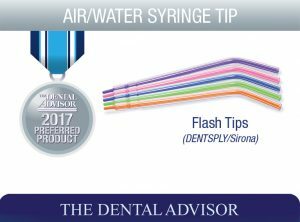 Forty-two percent of consultants who used disposable tips reported that FlashTips™ were better than their current air/water syringe tips and 47% reported that they were equivalent. 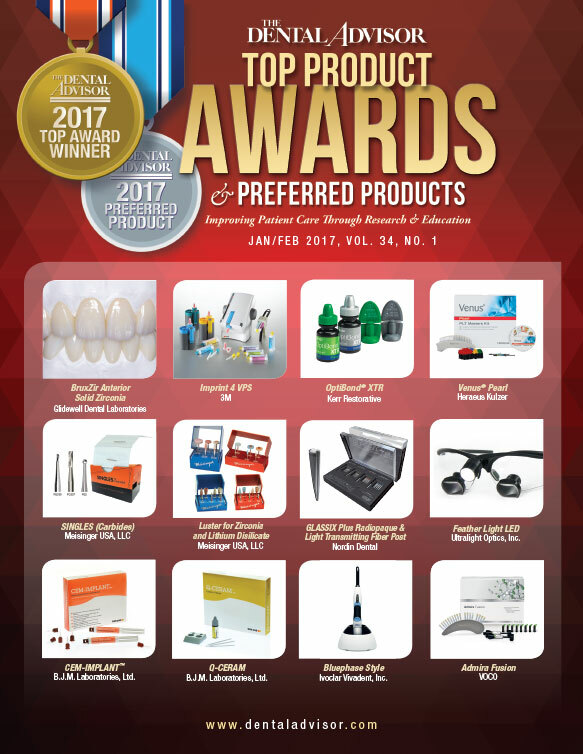 Forty-two percent of consultants who used metal tips reported that FlashTips™were better than their current air/water syringe tips and 33% reported that they were equivalent. Sixty percent would switch to FlashTips™ and 81% would recommend them. Check the end of the tip upon removal to ensure nothing broke off inside the syringe.